Guts Casino has a great mixture of both traditional casino betting and sports betting. You will be able to choose which type of betting you want to do right inside the casino app. Guts online casino is great for those who are looking to both bet traditionally and on sports too. Play your favorite casino games and slots at Guts Casino with an extra £€$100 in your account! When you play at Guts Casino, you get to play using an instant-play interface which includes many platforms that offer an excellent gaming experience. The many titles that players can play are from Microgaming Quickfire, OMI Gaming, Thunderkick, IGT, and Betsoft. Guts Casino holds two gaming licenses which are located in Malta, UK and only allows casino play in the United Kingdom, Canada, New Zealand and many other European countries. For players to take advantage of the welcome bonus, the promotion code must be entered at the time of registration and account creation before making a deposit. So if a potential player wants to receive the offered welcome bonus equaling 100%, then the player must enter promotion code GUTSB1. The promotion code is a one-time use on your initial deposit. This rule also pertains to your second deposit using the GUTSB2 code, your third deposit using the GUTSB3 code, and your fourth deposit using the GUTSB4 code. Guts Casino requires a minimum of €10 (100kr, $10, £10) to be deposited before any bonus or reload credits. All deposits and any winnings obtained by the use of the bonus will remain in the casino until a player has completed their first wagering. Players should be aware that bonuses could take up to five minutes to post to their account for use. For bonuses to be withdrawn, players must make 35 wagers before moving their funds to another product or withdrawing them altogether. Bonuses which are more than 150%, wagers must be made 40 times and bonuses which are more than 200% require an amount of 45 wagers. If you wager a minimum of €30 on the Carnival Online Slot between April 20th and May 2nd, you will be given the opportunity to win one of their 155 available prizes. If you want to wager at least €100, then you will have an opportunity of winning their €5,000 top prize. Guts Casino understands that Monday mornings make it hard to smile, that's why they offer its players a double deal Monday promotion every Monday. To claim your Monday bonus enter DOUBLE and you'll receive a 40% bonus. Besides that, you'll also receive free bonus spins each Tuesday. The only requirement is a €20 deposit and wager amount. After that, 15 free bonus spins will be available for you by 11.00CET on Tuesday. The use of the bonus is not required for you to utilize the free spins because the Double Deal Monday is viewable once you visit the promos page. The free spins associated with the Double Deal Monday promotion cannot be added to the welcome bonus spins. If you make a deposit between €/$20-49 on Thursday before midnight, then wager the same deposit amount, and you will then receive 10 free spins each weekend day totaling 30. If a deposit of €/$50 is made and wagered, a total of 20 free spins will be available for each weekend day, totaling 60 free spins for the weekend. Each daily free spins are credited each weekend day by 10.00UTC and will expire by midnight on Sunday. For your hard gambling in the live casino on Friday, Saturday, and Sunday, you will receive a rebate consisting of 10% that you lost or the option to receive an extra 5% credited to your winnings. To take advantage of this offer, register for the benefits of this rebate. You can email customer support at casinocashback@guts.com. Make sure to include both your given name and username. The Guts' Fish Party promo runs during the summer starting July 11th and consists of many poker tables hosting progressive jackpots. The poker games are fish oriented, and each aspect of the game is referred to a specific detail of fishing. The game begins by choosing 1 of 5 “bait” buy-ins, then you wait for three other “fish” players. You then spin the slot which will determine what you will “reel in.” If you land on a 2x, 4x, 6x, 10x or 20x prize pool, then you automatically defeat the other players. All players though will get a piece of the prize if it is either 100x, 500x or 5000x. A 5000x buy-in win would be pretty nice, huh? So, make sure to spin the reel in your favor! To take full advantage of this “deep sea” progressive jackpot, simply click on the tab labeled Fish Party in the Poker section. Slots lovers will be happy to know that Guts offers you a multitude of games to enjoy. They offer many video slots made up of five-reel bonus games which are Starburst, Gonzo's Quest, Cats, The McMurphys, Dead or Alive, Wolf Run, Thunderstruck II, A Night in Paris, and The Finer Reels of Life. Besides these new additions, they also offer the classic 3-wheel line slots. For the table game enthusiasts, Guts offer a huge selection to choose from. Players who love Blackjack will also love the options available to them including Super 7, Classic Blackjack, and Ponton. If you prefer roulette, they offer many varieties which include both 3 Wheel Roulette and Pro. Their other game selections include casino hold 'em, progressive red dog, baccarat, pai gow poker, and craps. If you prefer video poker, Guts Casino uses single and multi-hand games. These include Aces and Eights, Bonus Poker, Deuces Wild, Joker Wild, and Jacks or Better. Each of these video poker games' paytable is very generous so that each player receives the most out of their bankroll. Guts Casino offers a Live Casino which live dealers host each game. So if you feel lucky enough, you can take a seat and play a hand of Live Casino Hold'em, Live Roulette, Live Baccarat, and Live Blackjack. Guts Casino allows you to take your gaming experience with you simply by visiting guts.com on your mobile device. You'll receive the same great access to all of their mobile games. 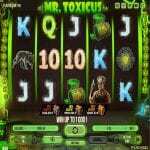 Their mobile casino allows you to enjoy your gaming experience without you having to worry about downloading any apps. Guts Casino has many software options that help to support the many selections of available games. These software options include the popular NetEnt and IGT. All other software that is available includes Evolution Gaming, Betsoft, Leander Games, NextGen Gaming, Microgaming, Rabcat, and Quickspin. The Guts Casino platforms used have undergone independent audits to prove fairness. Guts Casino makes this known by a seal at the website's bottom which states “RNG Certified.” Although the RHG certificate is not posted, each of their software platform's validate that randomness. At Guts Casino, your rewards are always available, whether you are a novice player or a card shark. That's because they offer their players a maximum of 30% cash back on Poker play. There are four tiers of loyalty that require a certain amount of points to be reached before receiving cash back rewards: This requirement equals to $1 received per 30 Guts Points earned. Silver- Between 1-499 points are required to receive a 10% cash back reward. Gold- Between 500-900 points are required to receive a 15% cash back reward. Platinum- Between 1000-2999 points are required to receive a 20% cash back reward. Diamond- Requires 3000+ points to receive the max 30% cash back reward. Witha a variety of deposit and withdrawal options, you can rest assured that your transfer will be complete by your selected option's time-frame. Available deposit options include Skrill, Neteller, PaySafe, MasterCard, Visa, Euteller, EcoPayz, and Trustly. Available withdrawal options include bank transfer, Trustly, PaySafe, EcoPayz, Visa, Neteller, and Skrill. Guts Casino allows a minimum withdrawal of €20.00 and a max daily withdrawal amount of €5,000.00 per transaction. You'll be happy to know that Guts Casino does not require its players to download software to enjoy their gaming. This is what makes its instant play so great. This is also why you're able to enjoy their vast selection of games on your mobile device. They also allow you to play without the worry of registering an account. This can be seen as a great option for players who are restricted from creating an account. Guts Casino offers many opportunities to experience a fun day of gambling. Their selection of games is vast, and their live version casino is top of the line. Their amount of promotions are plentiful, and you are given many opportunities to win free cash. Who doesn't like that? A loyalty program is available for Poker which includes a tier system that allows you to earn cash back. With many different online casinos to choose from, Guts.com really does seem to be one of the best online casinos out there. There are very few online casinos that are set up as brilliantly as guts.com. The ease of use GUTS creates is a very easy way for individuals to enjoy this site and part of what makes this one of the best online casinos. ticket. The prize draw will take place on December 24, 2018. In order to qualify as a “Vivs Guts Vegas” entrant, the interested player will have to register their account and make a deposit of €50; or more, if looking to enter more than one (1) raffle ticket. Deadline for making a deposit or deposits, is before 12:59 of December 23, 2018 . The €50 deposit may be used to play on any Guts Casino product: casino, sportsbook or poker. Winners will then be notified by phone or email, based on the information provided in their respective Guts Casino playing account. money that will be credited to the winner’s account. The “Viva Guts Vegas” main prize winner may book his or her flight by as early as January 01, 2019 or later; but only up to July 31, 2019, inclusive of return flights. If in case the winner cannot be reached, fails or refuses to claim the Vegas prize package within 72 hours after the December 24, 2018 draw, the trip will be awarded to the holder of the next winning raffle ticket. Other prizes up for grabs include a €10,000 cash pool and 20 Mega Spins on the “Book of Dead” online slot. One hundred (100) additional raffle tickets will be drawn to award a cash value or free-spins to the lucky entry holder. (1) “Viva Guts Vegas” entrant to a €1000 cash prize. Two (2) winners will receive €820 each, while four (4) others will individually win €400. Eight (8) will be drawn to award €250 per winning ticket holder; twelve (12) more will collect €75 each, while the remaining 16 drawn tickets will bring a cash boon of €30 per holder. for the free-spin prize, individually receive a round of 20 Mega Spins worth €1 each, on the “Book of Dead” online slot. All winners of cash prizes and free-spins can expect to receive their rewards by 17:00 (CET) on December 24, 2018. Guts Gaming is very concerned with the safety of individuals. There are firewalls and other safeguards available for those who are sharing their secure personal information on the site. Individuals can rest assured that their information is being very well guarded on Guts Gaming. There is also 24 hour customer support for any questions that these individuals may have. Guts.com is a great opportunity for individuals to experience the rush of Vegas without having to travel all of the way there. Instead, these individuals can gamble from the comfort of their own homes. This will allow them to save the money they would have to spend on travel and really have a great time on one of the classiest and most luxurious online casinos. During play, you will receive a progression bar at the very top. Every new level you reach, you will obtain an Easter Egg on the progression bar’s left side. Once you click on it, it will crack open to reveal an option for free spins. Free spins will be credited to your account automatically. During the promotion, you’ll receive a free daily boost. This boost will allow you to hop faster to your next Easter egg which is the day’s special offer. Keep in mind though; a timer is set that allows you to keep track of the time remaining to claim the offer of the day. + PROS: Guts online casino really mimics the feel of classy casinos in Vegas. Guts gaming is on the cutting edge of all the newest and most entertaining slot machines on the market.